Corporations are able to influence the process at every stage by funding university academics and research institutes, think tanks (see Wealthy Foundations) and policy discussion groups. This funding secures corporate positions on the boards of universities and think tanks and membership of policy groups. 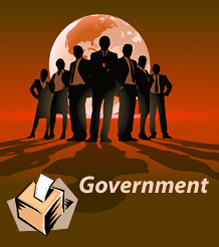 Because of their economic power, corporations are invited onto government advisory groups. Corporations are also able to directly influence government through political donations and the offer of lucrative positions on corporate boards to politicians and government officials. Corporate influence is also enhanced by the fact that most of the top appointments to Republican and Democratic administrations are corporate executives or corporate lawyers. Corporations not only fund think tanks and policy-discussion groups but also provide free legal, accounting and other services to them and sit on their boards of directors or trustees, from where they can set their direction and select their employees. Corporate executives are also involved in the programmes and activities of these organizations. In addition corporations identify the problems to be solved by the policies developed by these organizations.